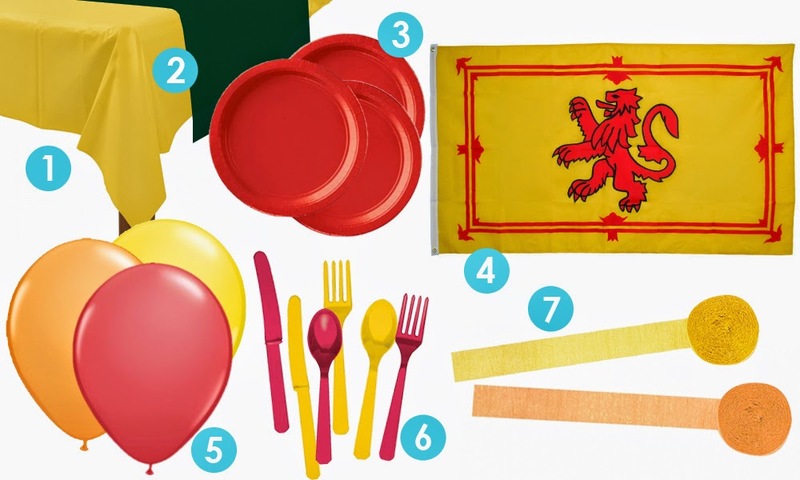 With the traditional Scottish celebration of Burns Night falling on Sunday, you still have time to pick up all the tableware and decorations you need to put on the perfect supper for all your friends and family. Celebrated in Scotland and all over the UK, Burns Night is the annual celebration of the life and works of Scottish poet Robert Burns. Earlier in the week we were on the hunt for delicious Scottish inspired treats you could make as pudding for your guests this weekend. But you have to serve your guests at an appropriately decorated table to enjoy the experience in full! We've picked out the essential items you need to get into the spirit of the evening and set your table ready for a Burns Night supper. From the disposable plates and forks (meaning minimal washing up to do later on!) to the balloons and flags no Burns Night celebration would be complete without. 5. Red, Orange and Yellow Balloons at £1.79 for a pack of 6. 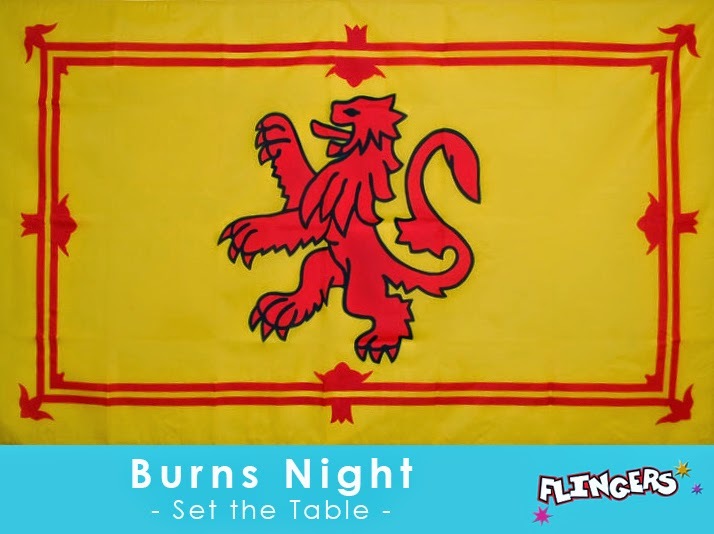 All these Burns Night tableware and decorations are available now at Flingers Party Shop in time for January 25th. Including some comical Scottish inspired fancy dress to get your guests into the celebration spirit of the evening! Do you enjoy taking part in Burns Night?